We are proud to have Me Too join the Little Boy Chic family of brands. 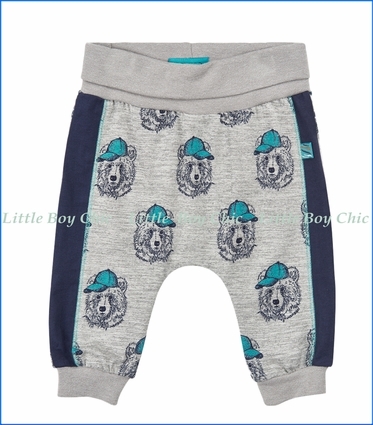 Their vibrant designs are evidenced in this sweatpants with bear design. Contrast vertical panels on the sides. Wide elastic waist band and cuffs. Soft hand feel from quality cotton. Pair with Me Too's Organic Knit Bear Cardigan.